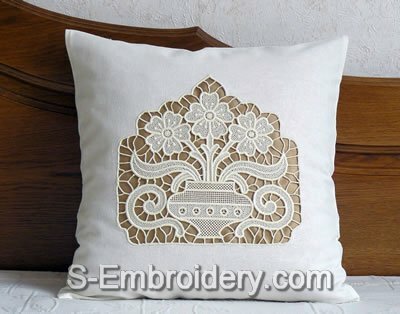 A freestanding lace flower vase machine embroidery design that would make a fine decoration for your embroidery project. 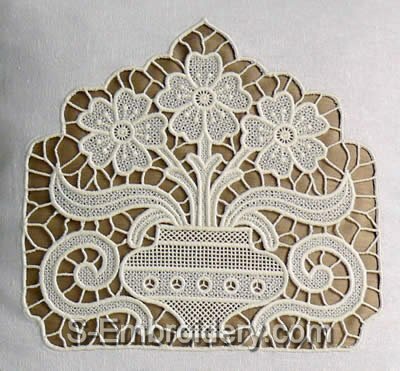 The design is split in 6 parts that will fit in 5x7 (130x180 mm) hoops. 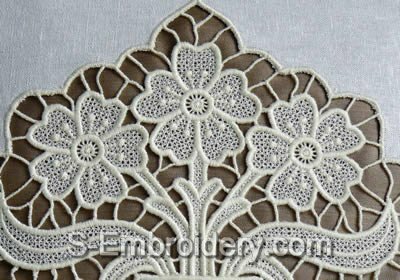 Note:If you like cutwork lace embroidery and have a large hoop, then you may want to have a look at the cutwork lace version of this design - the SKU 10434 Cutwork Lace Flower Vase.